Enjoy easy access to the Irving and Coppell area's thriving business community, plus renowned sports venues, shopping, and more. 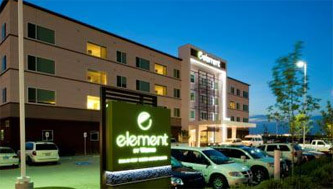 The Element by Westin Dallas Forth Worth Airport North Hotel. Located just a few miles from DFW Airport and midway between Dallas and Fort Worth. Enjoy easy access to the Irving and Coppell area's thriving business community, plus renowned sports venues, shopping, and more. The studios and suites at the Element DFW Airport North were designed with you in mind. Enjoy the use of a full kitchen in every guest room, a spacious work desk and large areas, perfect to entertain or unwind. Outfitted with many upscale delights, element guests can recharge and refresh in the signature Heavenly (TM) Bed, spa-inspired bathrooms and natural light-filled guest rooms. While in-room recycling bins, water-efficient faucets, filtered water and eco-friendly paints, carpets, and furniture allow the eco-conscious guest to continue living green while on the road.